NOTE: This post is developing as readers send in information and will be updated and expanded as new information comes in. We need some translations and info on this video, and second opinions from Arab speakers familiar with this network's credibility. Last Updated April 25, 2011 - No sooner was "Color Revolution's Mystery Gunmen" posted covering the use of provocateurs to escalate foreign-funded color revolutons, when a reader sent in a news clip from Iran's Al-Alam News Network reportedly indicating Saudi/CIA snipers are in Syria taking out protesters. Al-Alam broadcasts throughout the region, in Arabic. Another video sent in by a reader shows further evidence that snipers are intentionally shooting protesters, one man caught appears not to be even Arabic at all let alone Syrian. The corporate owned media, meanwhile, continues relying on activist "witness reports." This report and footage would corroborate both government and eye-witness accounts cited by international media stating that "snipers on rooftops" were shooting at protesters. While "rights activists" assume the snipers are security forces, the government maintains that gunmen have opened fire on protesters and security forces alike. A CNN report from April 5, 2011 cited a Syrian official who stated that "an unknown "armed group" on rooftops shot at protesters and security forces." Activists said they believe the people on the rooftops were snipers from security forces but have put forth no evidence beyond "witness accounts." China's XinhuaNet reported multiple incidents across Syria where armed gangs had clashed with security forces killing members on both sides. One attack claimed the lives of 8 bystanders. Official state media in Syria presented evidence that groups have been caught with non-Syrian SIM cards in their phones along with equipment used to stage acts of violence. in filming fabricated acts of violence and bottles filled with gasoline to start fires." -via SANA. 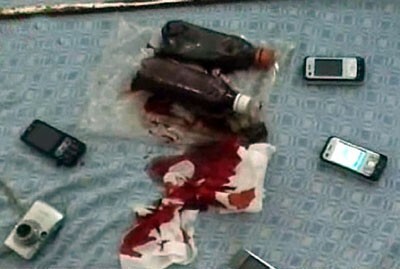 A recent Ynet News article cites Syrian reports that a Damascus news agency claims security forces recovered digital equipment, bottles of fake blood used by 'criminal group' to falsify photos, and videos depicting acts of violence against protesters. While Ynet claims this is an act of desperation from Assad's regime to downplay violence, it too offers no evidence beyond more "activist witness accounts" to counter these claims. The snipers could just as well be Israeli agents, as Israel has a long, very well documented history of infiltrating the Arabic Palestinian populations along their peripheries. Israel's government has long collaborated with the global corporate-financier oligarchs in operations throughout the region. The Soros-Brzezinski International Crisis Group hosts an impressive collection of current and former Israeli government and banking personalities as advisers, including current Isreali president, Shimon Peres. Israel had even bombed a facility in Syria in 2007, claimed by the corporate media to be a nuclear facility. While no evidence has been presented thus far implicating Israel, they possess both the motive and the means to contribute to instability in Syria. The current unrest in Syria is on-record being US funded. The ripple effect of course are the uprisings themselves, facilitated by yet more aid, equipment, and the complicity of the corporate owned media, disingenuously portraying the events as "spontaneous," "genuine," and "indigenous." No substantial evidence has been put forward by CNN, AlJazeera, or BBC to verify their constant litany of "witness" hearsay. Their reporters are suspiciously no where to be found in Syria, just as in Libya, giving them ample leeway for reckless and irresponsible reporting that is decidedly pro-demonstrators and anti-Assad. This is to be expected, as the very corporate interests that have plotted against Syria for nearly 2 decades have fully incorporated these media outfits, with the exception of Qatar's AlJazeera. However, as Dr. Webster Tarpley pointed out in a recent broadcast, Qatar seems to be trying to "ride the tiger" in supporting the Western-funded subversion and upheaval in the Arab world in order to preserve their own tiny kingdom. Qatar has recently led the Arab world in supporting the US/UK/French bombardment of Libya, sending a meager contribution in air power, and according to the New York Times, already funneling weapons into Libyan rebel hands. Bizarre Training Program for Color Revolution Sponsor "Gen Next." 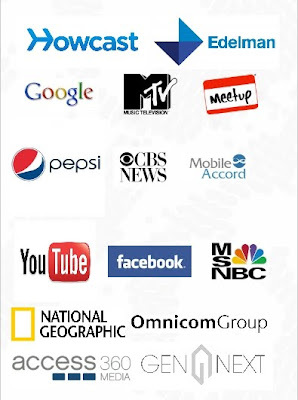 From the February 11, 2011 report, "Google's Revolution Factory," one of the organizations involved in recruiting, training, and supporting youth activists ahead of the "Arab Spring" was described in detail, including their corporate sponsors who directly took part in training events, conferences, lectures, and support. The organization, Movements.org, or Alliance of Youth Movements, would later be described in a New York Times article admitting to US funding and involvement in the "Arab Spring," starting as early as 2008. While the NYT piece doesn't mention the organization by name, the article links to an official US State Department announcement titled, "Announcement on Alliance of Youth Movements Summit," that most certainly does. throughout the Middle East, including in Syria. The Alliance of Youth Movements is a corporate sponsored "coup college" of sorts, training activists to subvert governments on the US State Department's behalf. 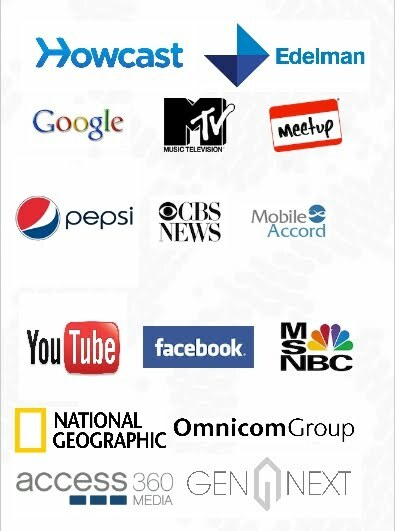 Amongst these sponsors is an organization called "Gen Next." Gen Next's partners include former Libyan Al-Qaeda associate Noman Benotman's Quilliam Foundation, the Bill & Malinda Gates Foundation, the US Chamber of Commerce, and of course, listed as well is Movements.org. 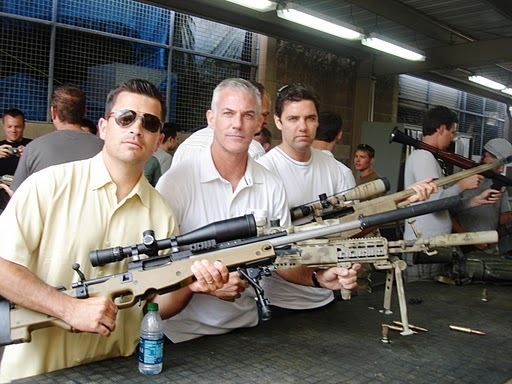 Gen Next's activities are par for the course in regards to fomenting and assisting destabilization in target countries, however, it becomes bizarre when examining some of their past programs. 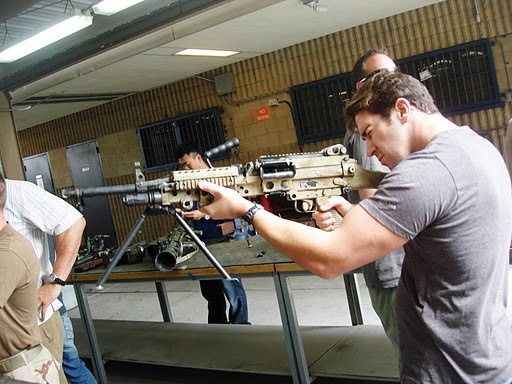 One in particular from June 14, 2010 titled, "Gen Next Private Training and Tour with the Navy SEALs " shows participants negotiating military style obstacle courses as well as handling a variety of weapons including high powered sniper rifles. 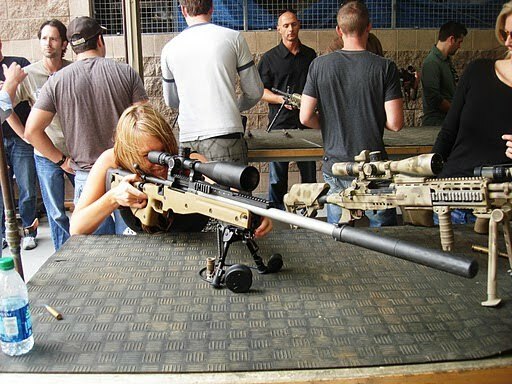 clearly handling high powered sniper rifles amongst other weapons. What possible purpose could this "training and tour" serve for an organization that claims to be "an exclusive membership-driven organization of successful individuals aimed at overcoming generational challenges in three areas: economic growth, education and international security," and is led by a variety of corporate-financier personalities? Is it merely a coincidence that the activists they trained and sent back to their homelands to subvert their governments, have come under mysterious sniper fire, and in each case, escalated the protests until reaching critical mass and regime change? For now, this evidence, though incredibly suspicious, is entirely circumstantial. We should however realize that this training as well as American tax payer money is being given to foreign agents to actively subvert governments in foreign, sovereign nations. This alone is egregiously criminal and an act of war. We should also remember that provocateur gunmen used to purposefully escalate a foreign-funded, staged color revolution is not without precedence. Similar claims regarding mysterious gunmen were made and confirmed during Thailand's failed color revolution in April and May of 2010 - especially during the April 10 incident where snipers first assassinated the command unit of riot troops attempting to disperse protesters. Snipers in buildings then turned their guns on protesters, while black-clad gunmen below moved through the streets pursuing army troops as they withdrew, leaving armored personal carriers and equipment behind, obviously in disarray. The protest head of security had admitted to having 300 armed men trained for ''close encounters'' and carrying M79 grenade launchers, before withdrawing his comment in later interviews. The color revolution's international spokesman, Sean Boonpracong, would also concede that indeed an armed militant wing had intervened in the attempted protest dispersal on their behalf. Despite admitting bloodshed resulted from a militant wing working on the protesters' behalf, Boonpracong would state in an interview that the blood had "tainted" the hands of the government and demanded that it be dissolved and exiled, revealing the purpose behind the violent gambit. For more information regarding this vivid account of provocateur gunmen, please see, "Color Revolutions' Mystery Gunmen." Continue checking in as this story develops, and Land Destroyer would like to thank the responses so far from e-mails and tweets that have contributed to this report.